Tell Mike Huckabee what you think about his support of Common Core standards. This is your chance to let Governor Huckabee know the FACTS about Common Core, not the talking points from special interest groups. We have seen over and over again that former Governor Mike Huckabee has been championing the Common Core Standards, see below. We are going to do a project to get Mike Huckabee educated on what hundreds of thousands of parents, teachers and administrators think about Common Core. Huckabee has a national voice and is misleading parents and his circle of influence on this issue. We must stop him in his tracks by alerting him to how much this issue means to you. We are going to use the “Twitter Bomb” tool to make sure he gets the message of how YOU feel about this, not his crony political buddies like Jeb Bush. Please send to all of your contacts and please post on all of your Facebook pages. 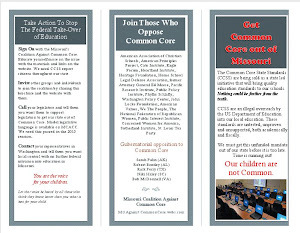 Starting at 8 am pdt/ 11am edt June 20, 2013 and we are doing it for 72 hours leading up to his show on Saturday June 22, 2013, we are asking you to Tweet and put on Mike Huckabee’s Facebook pages facts about Common Core . Huckabee Twitter Accounts: Find him on Twitter and Follow him so you can send him Tweets. I would use his “news” Twitter to show all of the news going against CCS. Remember, give Huckabee the FACTS about Common Core. Just the FACTS should stop the implementation of a grand theory not backed up by any research or data. Ask him why he supports educational reform crafted by two private trade organizations. 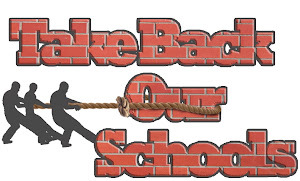 Ask him if this educational reform reduces federal power/cost to local districts. If it doesn't, then ask him why he supports Common Core?